These are just a very few of the many (hundreds?) of attractive routes for Tokyo based road cyclists in the hills/mountains of Kanto and nearby areas. Please click through the link at the title of each ride to see the map and GPS track at RidewithGPS. If you have a Garmin device you can download the GPS track -- follow the instructions at RidewithGPS. Or you can print out the Google Maps or mark the route on your own map. Note: RidewithGPS elevation profiles show rides as having MUCH greater climbing than is actually the case, often 2x or more than the actual climbing. So do not be discouraged from trying a ride because RidewithGPS reports that it involves 4000 or 6000m of climbing. It does not! That said, Japan IS a mountainous country. This is a classic ride in Kanagawa Prefecture. If you take the route out of town along either One-Kansen or Yaen Kaedo described on our introductory page, that GPS track/map connects to this ride. Around Lake Tsuikui and to Lake Miyagase, the most direct route is to take National Route 413, then head south on Route 412, before making a sharp right turn onto Prefectural Route 513. But I much prefer to avoid Routes 413 and 412 along the South side of Lake Tsukui. Instead, the GPS track heads around the North side of Lake Tsukui, then crosses a bridge and soon climbs up a hill on the South side of the lake, taking Prefectural Route 513. This adds some climbing, but the views and minimal traffic are usually worth it if you have the time. Once you climb up to Miyagase Ko (something like 330m elev), I recommend pulling in to the area filled with restaurants and food stalls -- shown as a detour on the GPS track. In summer, you can cool down in a fine mist spray, and there is a nice variety of food available outside (grilled corn on the cob, yakitori) as well as restaurants. There is no convenience store on Pref. Route 70 to Yabitsu, though there are a few places selling food, and drink vending machines, near the top. Shortly after you leave the Miyagase rest area, you make a right turn onto Pref. Route 70, which you take for almost 30 kms. After you pass the end of Lake Miyagase, you follow a very nice valley with a small river. For summer rides, there are some great swimming/cooling down holes along the way -- both "official" (with pay "camp" parking lots -- they will even charge bicycles) and other "unofficial" if you are willing to stash your bike in the bushes off the road. The climb is very, very gradual the first half, then gradually gets steeper. There are 3-4kms of 7-8% grade, then a short very steep (10-15%) stretch about 3 kms before the top, then it flattens out again so you can race your fellow riders the last 1-2 kms to the finish. The top is approx 760m elevation. The South side is a very sudden drop in comparison, and a very fun descent. On a clear day you can see Mt. Fuji to the west, Izu, Odawara, the Sagami Bay, and the Miura Peninsula. There is a viewpoint and observation tower after about 200m elev of descent where the road makes a sharp turn. Plenty of cyclists who live near the South entrance to Yabitsu use this hill for their regular climbing practice, and it is much more of a challenge than the gradual North approach. The GPS track continues to Hadano Station, where you can put your bike in a rinko bag and return to Tokyo via the Odakyu Line. (3) continue heading South past Hadano and onward to hit the coastline near Ninomiya, then either East or West along the coastline, before hopping the Tokaido (or Yokosuka) Line back into town. This is a longer ride, and from my house the round trip is 190 km or so. Of course, you can shorten it by almost 80 km if you take a train to/from Takao or another start location. Shortly after the traffic signal at Route 24, (assuming you stay on Doshimichi) there is a Daily Yamazaki convenience store on the left, and then a little further along a nice Michi-no-Eki (rest area). From the Michi-no-Eki it is a real climb of 8 of 9 km, up to the tunnel at the top, 1100m elev. at Yamabushi Pass (not to be confused with Yamabushi Pass in Chichibu, Saitama). Then there is a stretch of 4 km (and 100m elev. loss) down to the edge of Lake Yamanaka. Yamanaka-ko has plenty of facilities -- restaurants, convenience stores, pensions and hotels, etc. and a great view of Mt. Fuji. On the return, once you get back to the tunnel at 1100m elev, the descent back down Doshimichi is very quick. The route shown on the GPS Track does not return via Route 76, but stays on Doshimichi to its end, then heads around Lake Tsukui on the main roads. You can head back into town on the routes via Yaen Kaido or Onekansen referenced from the introductory page. This route includes the delightful stretch of short climbs on Pref. Route 76 south of Route 20, and a return stretch along lower Doshimichi. It is very similar to the trip to Yamanaka-ko above, except it is much shorter, as it cuts out the 60 km round trip from Route 76 to Yamanaka-ko and back, and instead turns left onto lower Doshimichi. The highest point is around 450m elev., so it is a good choice for cooler weather - late fall/winter/early spring. This is an even shorter loop, starting from Takao and returning to the Lake Tsukui area, from which you can return via Yaen Kaido or One-kansen Doro. It is a good choice for winter or when you have only a half day, that at least give one the feeling of having made it briefly beyond the edge of the Tokyo megalopolis. The road shown on the GPS track along the North side of Lake Tsukui is numbered Pref. Route 513, but it is more like a forest bike/walking path at points. Only small/narrow body cars can pass, and it is rare you will see one. The very short climb from the bridge over Lake Tsukui through a collection of homes and up to his forest path ... is quite steep. Thanks to Hiroshi Koyama for showing P.E. this alternative. Pref. Route 35 through Akiyama is a great road for cyclists -- very light traffic, forested hillsides, and a gradual climb up to the tunnel at Hinazuru Pass. What more could you ask for? The route is shown starting from Takao, and with an alternative approach that keeps you off of Route 20 to the extent practical. And be sure to stop at the manju shop just before the climb to the tunnel steepens. Wada Pass is one of the classic nasty/short climbs of the Tokyo area. Would-be hill climb champions train and test themselves here, as they do on the South approach to Yabitsu. On the linked GPS track, the climb is shown using the "classic" alternative up Jimba Kaido. The usual measured uphill TT -- much of it 10-16% grade -- is the last 3.5 km, which climbs from 350 to 700m elev. In any decent weather, you will see hikers at Wada Pass, headed to or from the summit of nearby Mt. Jimba, as well as other road cyclists. There is a small snack stand which used to be run by the 'witch of Wada Pass', but seems to have a new manager, perhaps her son, who is no quite as unfriendly to cyclists who sit on the bench and do not immediately buy something. The GPS track also shows an alternative descent via the rindo (closed forest road -- a chain at a "Y" junction at around 400m elev). The rindo is actually my favorite way to go UP -- best with no traffic on the climb, plus you get an extra 30-40 meters elev. gain. But since it is a closed road, there is sometimes debris, so it is better to climb this route at slow speed than to descend it at high speed, hit a small rock, and blow your tire. There are 100-150 meters of very bad dirt/rock surface just at the top/rindo entrance from Wada Pass, but otherwise it is very nice smooth concrete. The linked GPS track shows a trip from Takao to Wada, which runs through some hills and much greenery (some major cemeteries in the vicinity), but a more direct route from town would come/go straight along Jimba Kaido from/to Hachioji. More recently, we will go via Itsukaichi and do the Bonbori Rindo (Iriyama Pass) closed road linking to the forest road (rindo) climb to Wada. This route is another Wada Pass trip. The GPS track starts from Takao, goes up the rindo (forest road) approach, then over the top and down the back side of Wada (ura Wada). From there, the easy loop is just stay on Pref Route 522 down the valley to Fujino, then take National Route 20 back over Otarumi Pass to Takao. You can see this on the Google Map, but the GPS track turns left and adds another climb we refer to as "Bijotani" (valley of the beautiful women), for the hot spring far down the South slope. This climb is not quite as long or steep as Wada ... but it is not so different either. And save a bit of energy to get back over Otarumi Pass on Route 20. This route goes out from either Takao (or from Lake Tsukui as shown on the GPS track) to Uenohara then follows Pref. Route 33 (or a parallel road just across the valley -- shown on the GPS track), then climbs up Pref. Route 18, over Tsuru Pass (elev 875m), and down to Lake Okutama. Route 18 is has very little traffic, is nice in any season, and can be spectacularly beautiful with fall colors or flowering trees on the hillside in Spring. The GPS track shows a slight "detour" off of Route 18, that is both very scenic and skips part of the climb over Tawa Pass. After the initial descent from Tsuru, there is a right turn to take the most direct "short cut" route over toward Lake Okutama, or go straight if you want to see the village of Kosuge, and try the day hot spring. As you approach the first bridge you will cross over one of the fingers of Lake Okutama (at Km 59 on the GPS track), you can stop for lunch at Yakyutei (矢久亭) of some curried rice, udon, or other classic Japanese cafeteria foods. They are kind to cyclists, even if we need to hang a jersey damp with sweat in front of the stove to dry on a cold day. You then return via National Route 411 to Oume, and via train (or bicycle) from there. Be sure to bring and turn on your red rear flashing light for the many short tunnels along Lake Okutama and on the early part of the fairly gradual descent toward Oume. If your feet are tired, you can stop for the special foot soaking hot spring -- just after you pass Okutama Station, bear right around the tunnel on Route 411 or you will miss the hotspring (as I always used to do). And don't bother taking the train from Okutama -- you can ride to Oume faster and get the fast train from there, and it is mostly downhill, after all. Other variations would involve bearing to the left after the initial descent from Tsuru Pass, and eventually taking another left onto Route 139, and climbing Matsuhime Pass (elev. 1250) and down the south side to Otsuki/Sarubashi area, for train (or bicycle) from there home. Rides 1 to 8 above all start from Takao or near Lake Tsukui to the south. Now we shift to some rides out of Itsukaichi -- about 10 km North of Takao. These head up the Akigawa, a very nice, compact river valley. These Akigawa ride GPS tracks start from Musashi Itsukaichi Station, reachable as described on our introduction/routes out of town page. The Kobu Tunnel/Wada Pass loop is a great ride that includes plenty of hills and lets you feel you have really been into the country, and does not take us an entire day (if ridden at a good clip). We chose it for a recent reunion ride. For P.E. when we ride out from Setagaya-ku, these rides typically involve a rest stop at the 7-11 in Tokura, 2.3 km west of Musashi Itsukaichi Station, toward the hills. From Tokura, you head up the Akigawa and make a left turn at the "T" intersection at Honjuku (or is it Motojuku?) after another 6.5 km. By turning left, you will be heading up the South Fork of the Akigawa. Less than 100 meters after the "Honjuku T" there are some stone steps that offer a path all the way down to the river (stream) below on the left, and a very nice little swimming hole where you can cool off before the climb if you are overheating on a summer day, and you can leave your bike leaning against the hillside out of view from the road. It is about 8.5 km from the "T" intersection to another traffic light, where you will stay on Route 33 and turn left across the river and begin to climb up the hillside to Kobu Tunnel. (If instead you continue straight, you will be climbing toward Tomin-no-Mori and Kazahari -- next ride below). From this turn up to Kobu Tunnel is 3 km and approx 225 meters elevation gain, a climb at mostly 7-8% grade, more or less in some places. Kobu Tunnel (actually 2 tunnels in a row) is fairly long, but roomy and almost no traffic at all. Once through, you start a descent into Uenohara that is varied -- some straightaway, many curves, a few places where the road narrows, some speed bumps to slow cars and grooves to aid turning in wet/icy weather. Even though traffic is light, as always be careful on the curves and check the mirrors that let you see around them! Just before the very bottom of the hill, turn left and head up onto Route 522 for the most direct route to the western approach of Wada Pass. This takes you over the "Uenohara golf course hills" -- plenty of short and steep ups and downs, though it is at least easier in this direction than if you ride from Wada toward Kobu Tunnel! Stay on Route 522, including one left turn at a "T" intersection, until it meets Jimba Kaido (Route 521), the road over Wada Pass - 34.9km on the GPS track. Turn left and climb for 6 km, from 268 to 701 meters elevation, including plenty of stretches at a 10-15% grade. Longer, but not quite as steep as the "front" side of Wada, the lower part includes a very nice valley, with village houses, tea plants, etc., and the upper part offers a good view of Mt. Fuji on any clear day -- if you are not racing someone for the top, stop at the benches just above 600m elev, look behind you and get out your digicam. From the top of Wada Pass, descent down the eastern side, either back to Takao or continuing straight toward Hachioji on Jimba Kaido (as shown on the GPS track, which ends where you cross the route out the Asagawa toward Takao). 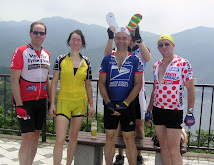 Back in 2006 or so, we did this ride from Takao (in the other direction) in a group that included a "first time" member who had just moved to Tokyo and was eager to ride with us. It was the hottest day of the year, brutal conditions, and he suffered mightily on Wada, and walked a good distance up toward Kobu Tunnel. At a stop along the Tamagawa on the way home he was collapsed, taking fluids and trying to rehydrate in a shaded, open stairwell of a condominium building. In his honor, we now call this the "Paul Jason" route. If you start from Itsukaichi, it is the "reverse Paul Jason." You can stop at Tomin-no-Mori, buy some udon or curried rice from the snack bar to eat on one of the benches outside then head back down the hill and home. Alternatively, you can continue up a more gradual section to Kazahari Pass (approx elev 1140), and head over the top and down a really nice, fast descent to Lake Okutama (plenty of curves, but a road in excellent condition that allows high speed on at least some sections), stop at Yakyutei for a better and slightly wider variety of foods than you can find at Tomin no Mori, and head back to Oume down Route 411. This adds only another 10 km or so to the ride. (Again, if you go back via Okutama-ko, be sure to have a good red flashing rear light for the many short tunnels on Route 411. From Oume, hop a train or follow the route back into town described on the introduction page. At times there are motorcycles practicing their turns on the curves near the top of Kazahari ... though the police seem to shut them down. They can be noisy, but are used to many cyclists up there as well. The GPS track shows the alternative return -- over the top of Kazahari, down to Okutama-ko, and then to Oume. This is a shorter ride, when you have less time and still want to go a bit of the way up the Akigawa, and try a short steep climb other than Wada. Head west from Musashi Itsukaichi the 8.8 km to the "T" intersection at Honjuku (Motojuku?). Turn to the right to start up the North Fork of the Akigawa. This road does not have any outlet, so traffic tends to be light. You may just want to ride up the beautiful valley along the river to the end of the paved road (about 10km) and then back. But the GPS track has a nice, little known alternative. Only about 500 meters past the "T", and just before the road crosses a bridge to the other side of the North fork of the river, you bear left. There are signs for "Yamabiko no Taki" -- a waterfall, and there are some tourist places. As you climb away from the road, you will see parking space for hikers/tourists, but they are quickly left behind as the road becomes a narrow paved forest road, with some very steep sections. You can continue around 4.3 km to the top, which is above 550m in elevation. I have not been up this in quite awhile, but remember there was, indeed, a little teahouse, and there was a warm wood fire burning outside on a cold autumn day. Another trip up the North Akigawa (right at the Honjuku/Motojuku "T" intersection), this is one of the steepest climbs in the entire Kanto area, as you head up through some villages clutching the hillside and then a forest road (rindo), to emerge at Kazahari Pass where you can lieft yoru bike between two guard rails and join the "main road" for the descent home -- not shown on the GPS track -- as if you had ridden to Tomin no Mori. Bring your compact crank or, better yet, triple, for lots of 20% grade, and plenty more 10-15%. Unfortunately, Google maps shows this road ending at around 850m elev. In fact, it continues as a forest road up to Kazahari Pass (1140m). Don't miss the last 300 meters of climbing, as there are some nice views, and it is not quite as ridiculously steep as the middle section. In 2011, there has been major tree removal on the hillside below the road around 900-1000 meters elev., and it has been necessary to dismount and carry your bike through some heavy equipment. The last time I did it, it was lunch break and all the workers were asleep in the cabs of their trucks and bulldozers. Here is a GPS track of a ride which combines Nokogiri (the next ride below) and Kazahari Rindo, so you can see the full Kazahari Rindo route even after the Google maps road ends. Nokogiri (translates as "cross cut saw") Mountain is a climb over the ridge between the North fork of the Akigawa and the wilder stretch of the Tamagawa, above Oume. You can start via either Oume or Musashi-itsukaichi and finish via the other. The GPS track shows the way starting from Oume. Heading upriver from Oume, you can either take Route 411, or cross the rivers and take Yoshino Kaido about 14 km, as far as Kori, where Yoshino Kaido crosses the river and you join Route 411 again. The GPS track shows Yoshino Kaido. The road to Nokogiri is a left turn off of Route 411, about 1.0 km past the intersection in front of Okutama Station, or 21.5km from Oume Station (via Yoshino Kaido route). The road condition on the climb is poor at places -- there were some landslides on the North slope in 2010 but it was still passable, and there were some crumbling sections on the South side. Don't try this (or Wada, or Kazahari Rindo) when the road is wet. It is steep, and the top is almost 1000m elev. You may see a few hikers or trail runners working their way along the top of the ridge, but otherwise may have it all to yourself. There is a nice water hole at a small waterfall on the South side, I think about 2/3 of the way down the hill and just below a very short, primitive (i.e dark and poor road surface) tunnel. It can be very refreshing for a dip in the summertime. From Oume, a gradual ascent to Okutama-ko (with some tunnels -- best to have working lights even in daylight), then a beautiful climb over Matsuhime (pine princess!) Pass and back down to Sarubashi on the Chuo Line. If you want, you can hop a train, or ride back to Takao, or all the way home, and with or without detours of course. The linked GPS track shows the most straightforward route, starting at Oume Station and finishing at Takao Station. This is another classic pass and one of the longer, higher climbs in the area on a "national highway". You take the same initial ascent from Oume to Okutama-ko as if heading to Matsuhime, but you keep on Route 411 all the way to Yanagisawa Pass and then enjoy a spectacular high speed descent over sky bridges down and down to the Koshu "bowl" around Kofu. There is limited food and water on the climb up Yanagisawa, so be sure to stock up around Okutama-ko (or Tabayama village just beyond). The next services are about 75% of the way up the climb (ramen shop and fishing hole on the left side), and again the small restaurant to get soba or curry at the Pass itself before the descent. You can hop a train home from Enzan, or continue over Sasago Pass and back to Otsuki (or beyond). The linked GPS track shows the route taking the "Fruit Line" around Enzan/Koshu and then going over Sasago Pass as far as Otsuki. Of course, it is possible to skip Sasago Pass and instead take the long tunnel on Route 20, but the tunnel is unpleasant, and the pass is a really nice climb -- deserted, with a short unlit pedestrian (and cyclist) tunnel at the top that blocks any thru automobile traffic. If you want a monster climbing day, then add Kamihikawa Pass in between Yanagisawa and Sasago! This route is another classic, as you quickly leave Oume and enter nice valleys. Nariki Kaido, Naguri, then a climb to Yamabushi Pass (approx 625 meters elevation), a dip, then a side road up to Shomaru Pass (where there is an old restaurant serving, among other things, "Genghis Khan" lamb, and a nice place from an imperial visit decades past). Then you can dip down to almost Route 299 and climb up to Karibazaka Pass. For the return, we show an alternate -- back down to and briefly along Route 299, then Pref. Route 395 over Amamezasu Pass. (For a killer climb of a small detour, check out Nenogongen Tenryuji temple, well over 1000 years old). The linked GPS track shows one possible route starting from Oume Station, heading via Hanno in Saitama then up onto the "Green Line". The Green Line goes along the top of a ridge and is a very nice scenic route. The track shows one alternative -- go to Chichibu and take the train back from Seibu Chichibu Station (to Ikebukuro), but there are many options, of course. Southwest from Matsuhime Pass, O-Toge (literally "Big Pass") can be done as a simple training climb out of Otsuki and back from the South, or you can climb the back (North) side of the pass as a continuation after you crest Matsuhime and are about half way down the southern descent. The road is clear and good on the South side. The North side has some very rough/gravel spots where you may need to walk a bit, and is not recommended for a descent -- climbing only. And you will need to go over/under a gate at the entrance and exit ... then again, you will have the road to yourself, except perhaps a ranger or TEPCO maintenance truck and some hikers. Be sure to bring water and food for this climb from the North side -- no services. The GPS track just shows a loop from Otsuki, heading North on Route 139, then over the north side, then back down to Otsuki. 19. Tsuru Tsuru Onsen/Umenoki Pass and Umegaya Pass (aka "Jerome Pass"). This is a short loop closer in to Tokyo. If you head out to Itsukaichi, you can go over low/gradual Umegaya Pass then down to Yoshino Kaido near the Tamagawa, then loop back over the steep and higher Umenoki Pass. Stop at Tsuru Tsuru Onsen for a break and a bath. Of course, you can also approach this ride from Oume. This route heads in a completely different direction than all the preceding ones. The "routes out of town" are useless, as instead you will head SOUTH through Yokohama and then loop around the Miura Peninsula. Southern Miura is very nice, once you get past Yokosuka. I dislike the Kanagawa traffic and so save this for winter when the hills NW of town are not very appealing, or just plain treacherous or impassable. Your start point will likely be different than the GPS track -- not along the Tamagawa unless you happen to live there (as I do). There is no good route through Yokohama, but I have tried to show a tolerable one, via Minato Mirai, and taking the train back from Hiratsuka. Of course, there are other options. Kamakura and Enoshima are full of tourists, even in winter! 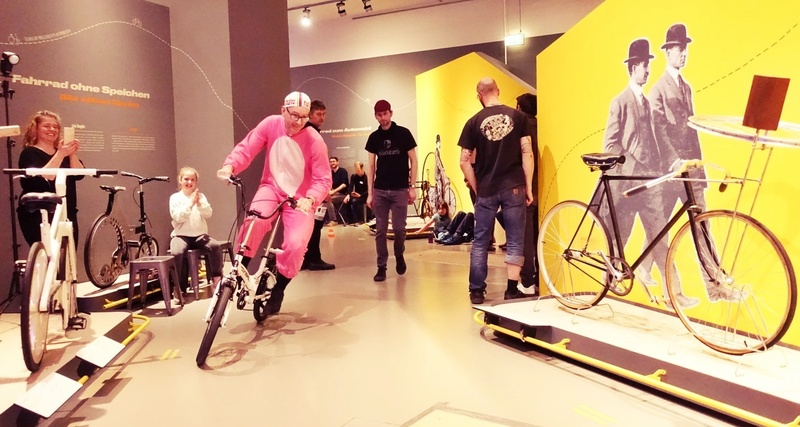 This ride plays a key role in the Positivo Espresso foundation myth. The first ride I ever took with MOB (introduced by Juliane) was on an Atami version of this ride. Of course, we learned it is crazy to start from Atami and climb over Atami Pass. Much better to start from Mishima. So you need to hop the Kodama train on the Tokaido Shinkansen (from Tokyo, Shinagawa or Shin Yokohama), with a rinko bag. The return is from Shimoda ... via the Izu-kyu up the east coast, then Shinkansen from Atami. It ends up being a long day, but can be a really glorious trip. Assuming you start from Mishima, there is a bit of slog and sprawl the first 10 kms. But the reward comes quickly, as soon as you hit the coastline. The Nishi Izu coast is spectacular. If you look at the RidewithGPS link, it looks relatively easy. But in fact it seems like you are ALWAYS climbing. Best to do in Spring or Fall and avoid the summer heat/humidity. Then again, in summer you can end the ride at a beautiful white beach west of Shimoda, swim in the ocean (I prefer to do so in my bib shorts ... but if others are not around ... Enjoy a nice meal on the deck of the restaurant we always stop at near the White Beach Hotel (we call it the "gaijin cafe" ... though of course it must have another name). Then a short ride to Shimoda Station, a rushed rinko effort and a long ride home. Variation 1: Instead of going out to the coast, stay on National Route 136 then National Route 414 south past Shuzenji. Eventually turn right onto Pref. Route 59 for a quiet climb up to the crest of the mountains of Nishi Izu -- around 800 meters elevation, if memory serves. Then take one of several choices for a steep descent/plunge to the coastline. If you do this, you will miss over half of the coastline, so you will want to also add Variation 2 below. Variation 2: Instead of heading inland after Matsuzaki along Pref. Route 121 toward Jaishi Pass, stay along the coast on Route 136. Instead of a nice valley and some villages, you get more coast. Even though you skip Jaishi Pass, don't think you are taking a flat route! Plenty of up, down, up and down on this stretch. I thought it was high time I registered my appreciation for your site, which has been of great value to me - and my mates - as we've come to grips with cycling in and around Tokyo. The 'twenty plus rides' segment has been a treasure trove. I've been in Japan two years now and have ridden the Sagamihara-Yabitsu route countless times. The Yamanakako ride is also a great favourite - an absolutely world class ride. As the weather has gotten colder, I confess we've retreated to the Chiba peninsula for our rides, but we'll be back in the hills soon. I also really enjoyed MOB's photos of the Cherubim shop from The Nishi Brevet in 2014. I've ordered myself a Cherubim 'Sticky', but I've never actually been to the Machida shop. I'm looking forward to getting down to check it out soon. Have also recently started to enjoy your articles on wheel sets. For what it's worth, I swear by my Ultegra 6800 wheels, which I run with 700x23Cs and Continental Four Season tyres. I've found them comfortable enough, and virtually indestructible, but I don't ride the kinds of distances you do. Thanks Andrew. Delighted to hear you find the information of use. It makes me want to ... add some more to the blog after my next adventure. David is a more regular visitor to the Cherubim shop in Machida as some (?) of the brevets he attends are starting and finsihing there. I moved back to Germany in 2010 and I have been in Japan ever since only one time in 2014.